Home > Hearing > What Causes Deafness? The term deaf has and continues to cause controversy regarding its definition and meaning. For most this term is given to those to define hearing loss. Controversy arises with regard to the degree of hearing loss experienced and whether the term should be used to describe a slight deficit in hearing, or anywhere on the spectrum from this to a total inability to hear. In a society aware of political correctness and because of a fear of upsetting people unnecessarily, many members of society are reluctant to use any term relating to a persons circumstance for fear of giving labels or of causing offence. Many people fear repercussion when referring to someone whom is hearing impaired, and often the best option is to try and find out what terms the individual uses and adjust from terminology accordingly as what upsets one person will often be different to what upsets the next person. Allergies or reaction to certain medications. Most people will experience some degree of hearing loss in their lifetime either due to head cold and congestion, because of a wax build-up or because of atmospheric changes such as during take-off or landing when in an aeroplane. These reasons are normally short-lived and do not cause problems for the sufferer and are often expected. 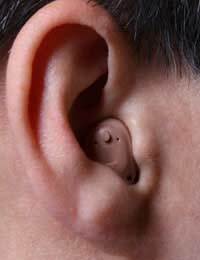 Deafness can occur in either one ear (unilateral) or both (bilateral). It can be short- lived, long term, intermittent or progressive depending on the reason for changes in the ability to hear. Each person will have their own experience of deafness and will adjust accordingly and manage the symptoms individually. There is a huge variety of treatments available to help alleviate or cure deafness with options ranging from ear drops and hearing devices to surgery, but for those whom live with total deafness the treatments open to them include learning to lip read, sign or form their own methods of communication. There are many organisations focussed on raising awareness, educating and supporting deaf people and their friends and families, and can be national, regional or local. Many specialise in supporting those with certain disorders and others are broader in their assistance. They can be very useful in providing information about particular disorders and can be extremely helpful in providing assistance with the legal aspects of registering as deaf and explaining your rights and expectations. Deafness was once seen as a disability, but now thanks to modern medicine, technology and public awareness, this is no longer so. As treatment options increase, living with some degree of deafness is not as inhibiting as it once was. For the last 4 years have had trouble with my hearing, was sent for tests and was told I had a build up of fluid at the back of my head and a slight hearing loss. The consultant then supposedly drained the fluid by means of a vacuum operated mechanism. Now I can feel my head still full up and am constantly blowing my nose also my hearing is very poor. I've also ended up with a perforated eardrum? Hello, I see from the details you have included as possible causes of deafness, you do not mention Otitis media - chronic - severe, congenital, or otherwise as a possible cause. I have been deaf off and on all my life, I am now 64 years old. As a child I had experienced a dark-brown fluid pouring down my neck both sides from both ears. I had a mastoid cyst removed from my right ear at 11-years old. My left ear has been deaf for as long as I can remember. These days I pinch my nose and a pop in my right ear follows and I can hear quite well - for a moment - then I go deaf again. I have had the same with my left ear, but it does not always work. From my brief information, what do you think is wrong with my ears?